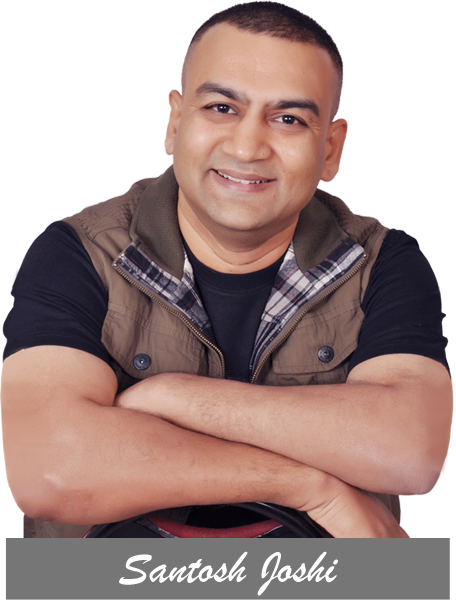 Often called as the Dale Carnegie of India, Santosh Joshi shot to fame after his first book KEYS – The HLP Way to a Happy and Regret-free Life became a best seller. A mechanical engineer by education, he worked in various national and international conglomerates for about two decades. Santosh believes that every person is born with immense potential that enables him to live a rich, happy, healthy and most importantly a stress-free life. However we get stuck in the daily rut, overpowered by the challenges and forget how powerful we truly are. Since he realized this himself, he wanted to make more and more people aware of their inherent potential and how they can harness it to live a life of their dreams. Having found the purpose to his life, he quit his lucrative career of two decades and set out on a mission; a mission to spread happiness, to eradicate stress and to help people to come out of their traumas and live a life using their highest potential. 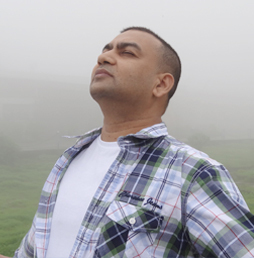 After years of experience in meditation, self-healing and research, Santosh developed a new-age healing technique SKY. SKY is a 12-minute technique which instantly reduces stress. It is gaining immense popularity in India and abroad as it is short yet highly effective and very easy to follow. It has helped children, students, professionals, corporate employees to come out of stresses and give their best. Santosh was invited by a regiment of Indian Army to conduct the SKY-Pro workshop for some of their units. After experiencing the positive effects, one regiment of Indian Army made SKY as a part of their morning drill. He was also invited to conduct a session on SKY to Prime Minister’s office in Dubai, which was highly appreciated. 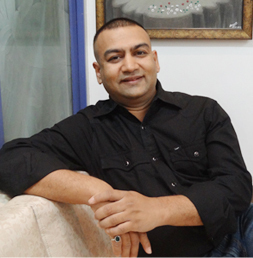 Santosh Joshi also conducts workshops and personal sessions on Past Life Regression. Past Life Regression (PLR) is based on the premise that the root cause of the problems we face today lies in our past. PLR is a process through which you can visit any memory of the past of this life or that of previous lives, and heal those so that it stops having its effect on your present. All the memories of the past are stored in the subconscious mind and can be retrieved by going to the theta level of mind. It is based on the theory of Reincarnation and Karma. The process used for PLR is through progressive relaxation. It is an extremely effective and totally safe process. Santosh’s workshops have been recognized as life-transforming by the participants. Under the name Skies and Beyond, Santosh offers an annual life coaching programme to people who wish to take a quantum leap in all aspects of their life. Founder of this 12 minute new age healing technique, Santosh Joshi has helped many people heal themselves on a physical emotional and mental level. SKY has created quite a wave in the media and amongst the seekers. 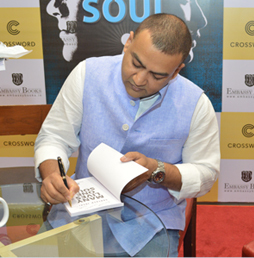 Santosh Joshi is the author of KEYS - The secret to a happy and regret-free life, Many Lives One soul and SKY is NOT the limit. All three of his books become national best sellers and are set to make their mark internationally. Through his Program Skies & Beyond Santosh Joshi offers life coaching to executives and professionals helping them transform and take a quantum leap in their personal and professional lives. 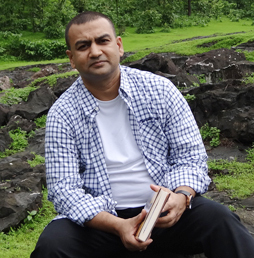 Santosh Joshi is a certified Past Life Regression Therapist, helping people to know themselves and find the purpose of their lives through his workshops. Copyright © Santosh Joshi Foundation. All Rights Reserved.